Dhruv is using Smore newsletters to spread the word online. An explorer named Dhruv Patel has just returned from his magnificant adventure in the Daintree Rainforest. 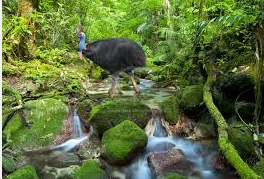 He is a very educated and talented explorer, he has discovered many new things about the Daintree Rainforest. We are about to interview him and ask him questions about his wonderful adventures in the Daintree Rainforest and all the animals. My name is Henrik. Are there any Tribes still in the Daintree Rainforest? Well Yes, many tribes are still in the Daintree rainforest and they still take care of the Daintree Rainforest like they used to. They used to own Daintree Rainforest and used to take care of it. 18 Aboriginal tribes are still in The Daintree Rainforest. 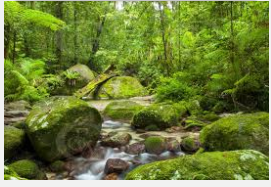 One of the tribes name is Mossman Gorge They play a very important part of the Daintree rainforest. How do you feel about meeting Animals everyday? I feel really happy there are many rare animals in the Daintree rainforest it is a wonderful sight and a privilege to see animals in the wild hunting and moving around. They give me facts about themselves and i get to go close to them everyday. How did you become a Rainforest explorer and why? I became a rainforest explorer by the wonders of the rainforest. They attracted me to it. I became one because I have always loved animals, nature and waterfalls and I get to see all these in my everyday life in the Rainforest. Have you seen much damge in the Rainforest? 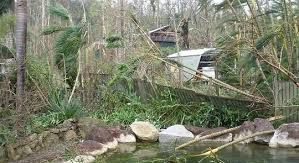 No not much but some damage is done to the rainforest. We explorers and the traditional owners are protecting it but some people still make farms here. We try to stop them but can not. Mostly no damage is done. You have been very helpful to is you have also helped us a lot with your extraordinary knowledge about the Daintree Rainforest.